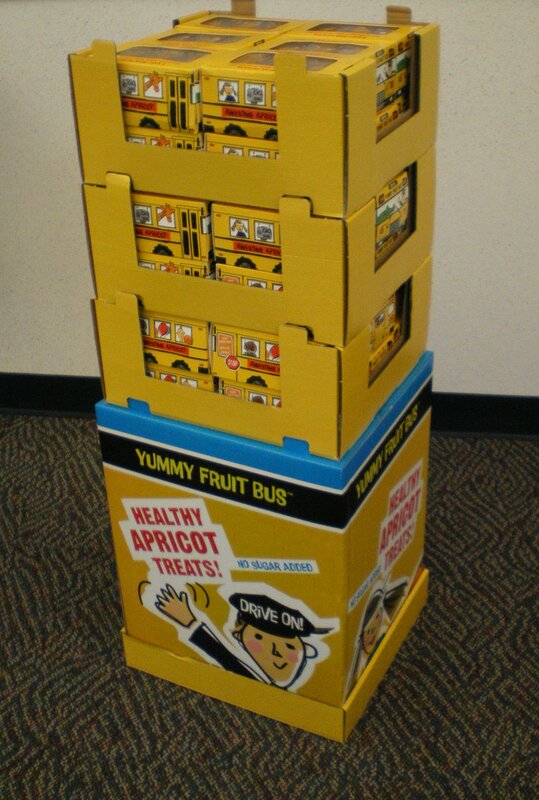 Awesome Apricot Yummy Fruit Bus™ Shipper « Great Lakes International Trading, Inc. 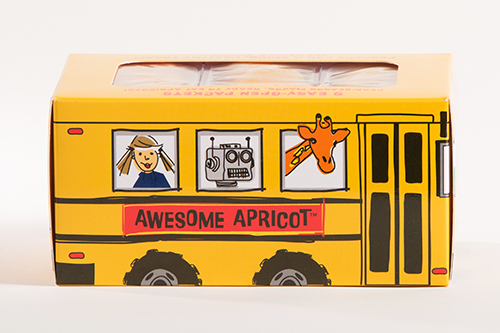 The delicious sun-dried Awesome Apricot Yummy Fruit Bus™ with 9 x 1.4 oz. individually wrapped packs of moist Apricots is now available in this freestanding floor display. The ready to eat Apricots arrive as a quick, healthy treat with peak season flavor. This no sugar added snack comes in a fun and welcoming school bus display and serves as a naturally fat free alternative that both kids and parents can cheer about. The packs are easy to open and will be a lunchtime favorite. No refrigeration is necessary in the supermarket. 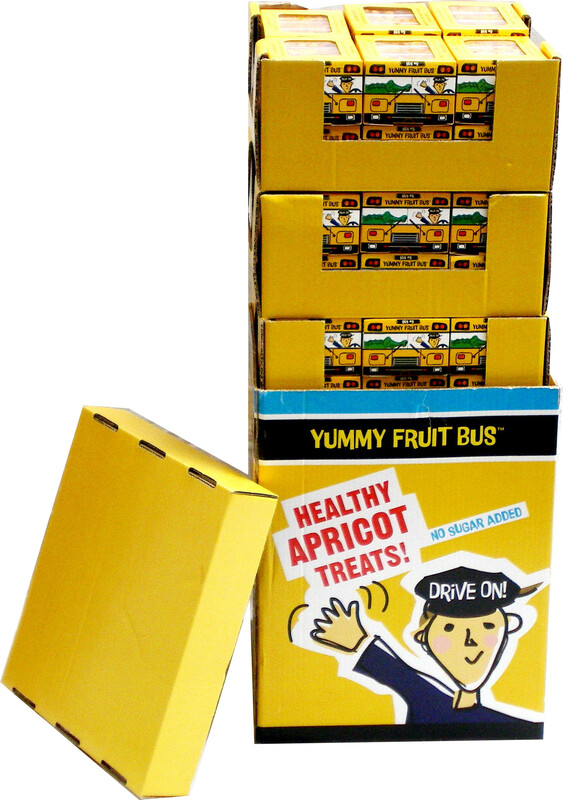 Each Shipper contains 3 cartons of Awesome Apricot Yummy Fruit Buses™. There are 12 Yummy Fruit Buses™ to a carton. For a total of 36 Yummy Fruit Buses™. Each Awesome Apricot Yummy Fruit Bus™ contains 9 (1.4oz.) packs of size #4 Turkish Dried Apricots. 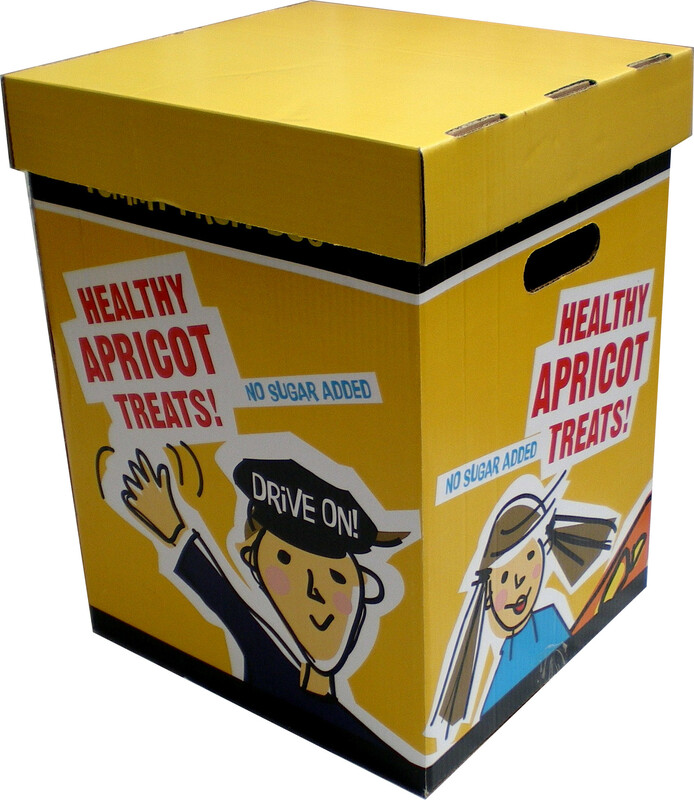 Each Awesome Apricot Yummy Fruit Bus™ is labeled with complete nutritional data, UPC code and Star-K’s kosher logo in a fun package that can be enjoyed. UPC Code for each bus is 0-86101-02010-9. GTIN Code for the shipper is 30086101020100. Great Lakes Item #260. 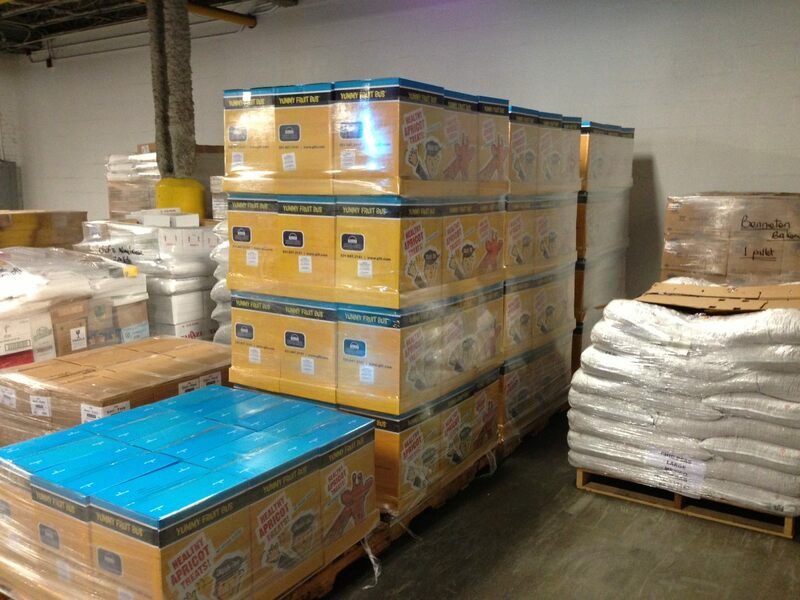 The total net weight per shipper is 28.3 lbs. Carton dimensions are 15” x 14” x 19”. The pallet has 9 shippers per layer and 4 total layers. There are 36 shippers per pallet. 1368 lbs gross weight per pallet.